We like things our way. We want to customize things – cars, bikes, clothes, jewelry, houses, even chocolate. 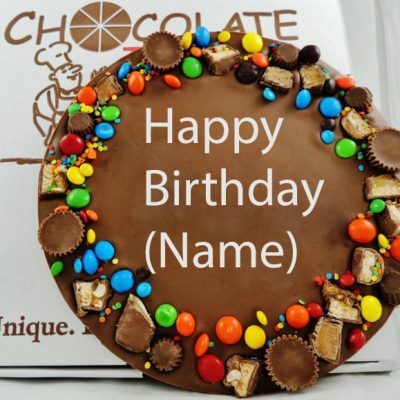 Make Your Own Chocolate Pizza lets you, “say it in chocolate,” so how cool is that! 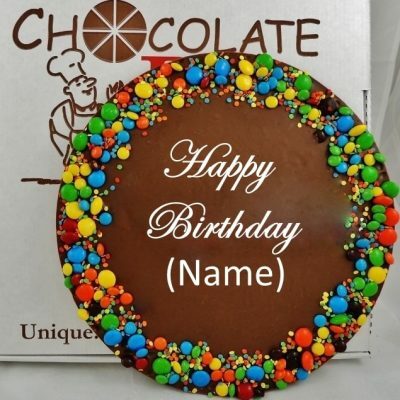 You choose the size of the Chocolate Pizza (a regular Chocolate Pizza is about 10″ in diameter and 16 oz and a large is about 12″ in diameter and 25 oz. Avalanche borders are slightly heavier), the flavor (rich milk chocolate or deep dark chocolate), the kind of border (colorful chocolate candy or a nut mixture of pecans, almonds, walnuts or for a tad more make it an Avalanche border). But most important of all, you choose what to say – you literally build your own gourmet chocolate gift. 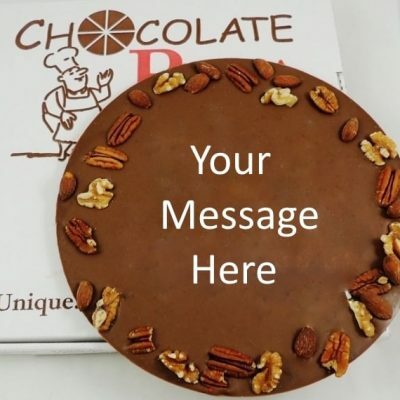 Our talented chocolatiers will take it from there and handcraft YOUR very special Chocolate Pizza. The base is the same delicious combination of rich milk or dark chocolate blended with homemade English toffee that makes our Chocolate Pizzas so delicious. Sealed in cellophane and served in a custom pizza box. No one says it better than you – we just add the chocolate! Make your own chocolate pizza today.